The healing of the emotional body is a huge part of the human evolutionary process right now. We see people in reactive mode from Facebook posts, media, all the way to influential leaders that have the power to start wars that slaughter human life because of individual reactions due to a set of limited beliefs. In The States we have a highly reactive leader that is in his emotional body and there is great purpose for him being our leader right now. He is showing us the collective consciousness at this time and what needs to be addressed and healed within ourselves. We created him for our growth and expansion. When the emotional body is healed you are nonreactive to peoples limited perceptions or beliefs. You are in observation mode and see and/or feel where and why they are reacting and do not have to continue the energy of the need to be right or conflict. You no longer have to react because you know they are triggered and have compassion and respect for their level of awareness and consciousness in the now. You know they have a divine plane and it is not your job to wake them up. It is their higher selfs job to navigate them through their journey. This is a level of surrender that many people on this planet do not have yet and the only way it will change is by example not slamming it down peoples throats. Many of those that have healed their emotional body are dropping the “Spiritual” label and integrating back into the real world (work force and other avenues) to be the energy of the new earth that will spark others into awareness. It is very important to be aware when I talk about different levels of awareness or consciousness I am not talking about a hierarchy or actually levels. It is just a frequency that is available to all with a shift of perception. We use these terms to help explain things with words that which is energy. Each person has access to this no one is “special”. There are many ways to heal the emotional body but I am just going to explain the way I healed mine. I am a person that does not like to talk about anything I have not experienced. If this does not resonate with you on any level than you can do a search on the net “Healing the emotional body” and see what resonates with you. The way I did it was simple (like most universal laws and truths but we complicate them with beliefs) and gets right to the core belief. Whenever I get triggered or feel any type of resistance to something someone says or does I know that it is my emotional body reacting and there is a limited perception of belief that is being triggered. If it is true or not it does not matter. We should ALL be able to handle others beliefs and perceptions without being overly reactive and pushing our views, perceptions, or beliefs on others. Once I am aware of the trigger or limited belief I go within and locate where that belief came from. It can go all the way back to when I was a little girl and my mom, dad, preacher, or teacher said something and I took it on as a belief system. OR EVEN THINGS I LEARNED RECENTLY IN THE SPIRITUAL COMMUNITY. I meet that belief where it was originated and I talk to it and tell it that it is okay that someone is pushing you past your limited perceptions and that you are now a limitless being with unlimited potential without these blocks you have created. I release the energy and sometimes I bring it up to my heart center (If your heart center is open you can do this) and transmute the energy through the heart. The heart center transmuting is necessary only if the limited belief has a lot of resistance, anger, or resentment attached to it. That is all I did and I did it over and over again with each trigger until eventually I became a balanced person that did not get overly reactive to things people did or said. Things did not change overnight it took a couple of years but time is more compressed now and people are evolving faster so it can take you a lot less time to heal your emotional body. It really depends on how much conditioning and programming you need to let go of and how stubborn you are with the process. Why is it important to heal the emotional body? Well the obvious is that we have a lot of adults acting like small children that did not get their way when anyone says anything outside their beliefs. It is evident in many sectors of society on a micro level such as Facebook posts and on a world level such as wars. In order for us to grow and evolve as human beings we need to get past this primal need to get into a resistant and reactive state so that we can move past separation consciousness into unity consciousness. Also there is the universal level when it comes to levels of consciousness and frequency. Anything past the 4th dimension we are instant manifestors. Can you imagine what someone in their emotional body that was highly reactive would manifest? It would be realities of chaos. 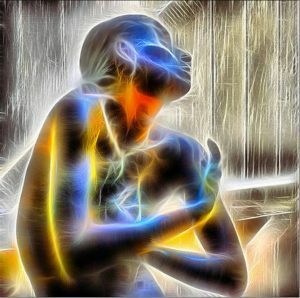 This is why the emotional body must be healed before we reach 5D consciousness and up. The process of evolution requires a lot of inner work and healing it is not something that just happens. All the limited beliefs, pain, fear, and resistance must come to the surface, be felt and recognized to be healed. These things keep our bodies dense and the higher frequencies require a “Light body”. In order for the light to come in you have to let go of the density in your body. This is work YOU have to do. An energetic healer does not heal you they give you the tools to heal yourself. They can clear an area energetically but it is the work that you do after that is the true healing. If they are not doing this for you, not giving you “Homework” to do on your own, and telling you to keep coming back for several sessions they are most likely making you dependent on their healing practices $$$$ without you doing the inner work that is necessary. It can be a useful tool but the healer does not heal you. YOU DO! So if you want to evolve quickly stop pointing the finger and blaming the other when they anger you and go within and deal with the parts of you that are causing you to be highly reactive and blocking you from your expansion.